Are You in the Yearbook? 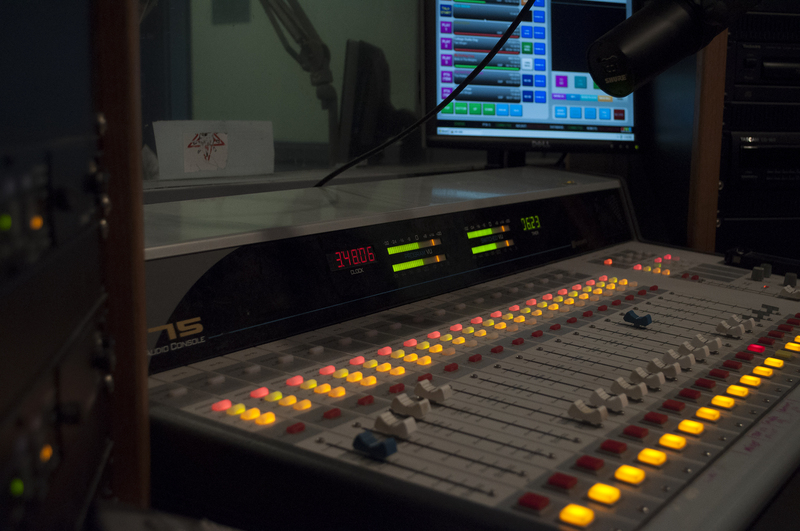 With growth in program numbers and efforts to raise awareness no time is better than the present for The University of Alabama student run radio station, WVUA 90.7 FM. 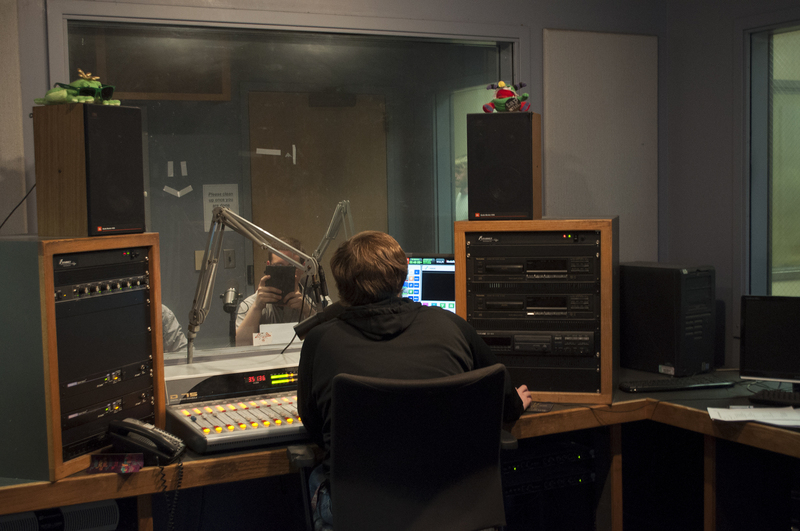 “WVUA FM is on the cusp of entering a new level of importance on campus and in the community.” said Rich Robinson, a junior at the university majoring in Telecommunication and Film. “We love to laugh and have fun while we work.” Said Maggie Brown, the station manager. Brown is a sophomore at the university majoring in Telecommunication and Film. She is the second female and the youngest student to have held the manager position. When coming to college, Brown had never thought about going into a career in the radio industry. But her thoughts changed in the short time between the start of her freshman year and taking her position as a sophomore. Her job at the station is her first priority. 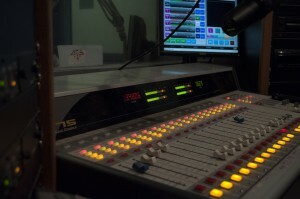 As station manager, Brown oversees the whole station that includes six directors, their assistants, and over one hundred DJ’s and general staffers. She is up every morning at eight A.M. to reload the logs, she is also on call twenty-four seven. “I have also had to go into the station at four a.m. to fix the computer,” said Brown. Her advice for someone hoping to hold a position like hers is to make sure to be honest with your staff and have faith in them, otherwise you will go nowhere. A new member of the staff this year is Lauren Taylor, a junior at the university majoring in communication studies and minoring in Telecommunication and Film. She joined the staff hoping to better her broadcasting skills and show her love of sports. Going in, she had no experience but has been able to learn about the whole broadcasting production system. “Learning the soundboard they have was intimidating at first, but once you get the hang of it, it’s not that bad.” said Taylor. Another member of the radio staff making history is Robinson. After working at the radio station his freshman year he convinced the then station manager to start a news division. 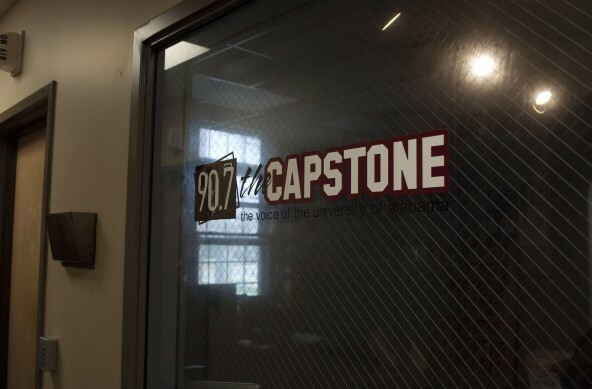 Robinson is the News Director and is proud of his show, “Capstone News Now”. They are on their second year and have grown to twenty staffers working on their daily news program. Robinson is also the play-by-play voice for the Alabama Gymnastics team and the organizer for the “Breaking the Gridlock” series that has won several awards since it began. Along with all the staff members, Robinson hopes the station will be able to grow their audience and impact within the community. “From our hard hitting news reporting to exciting and localized sports coverage to a diverse variety of musical selection; WVUA is in a great position to really matter.” Said Robinson. To see more stories and photos, buy a yearbook!